The season for new beginnings is fast approaching. So out with the snow, in with the sunshine! Offer your customers jewelry pieces with floral designs, as well as butterflies, and anything yellow gold. And what better way to showcase them than jewelry organizers and displays that scream spring! With that said, here are some tips on how to achieve a spring-ready jewelry display. If you added fake snow in your winter display, add leaves this time. You can either use plastic/paper ones or real ones; the latter being better as you can actually smell spring in the shop. The con for real leaves, however, is you’ll have to replace them with fresh ones every day. Place the leaves on the table or hang them like green curtains. Of course, blooms shouldn’t be forgotten! As with leaves, you can use either plastic/paper or real flowers, or both. You can place the blooms in vases or lay them on the table. You can also get flower pots and put a few on the table and on the floor. Attach them to strings and make it look like your customers are being showered with a rain of blooms. Make your customers feel that they are in a flower garden on a bright sunny day in spring. Succulents are all the rage at the moment; we have seen so many Instagram accounts of these beautiful plants. They are easy to grow, require minimal maintenance, and are fire resistant and fire retardant. They are available in so many beautiful shapes, and colors and hence are great displays. 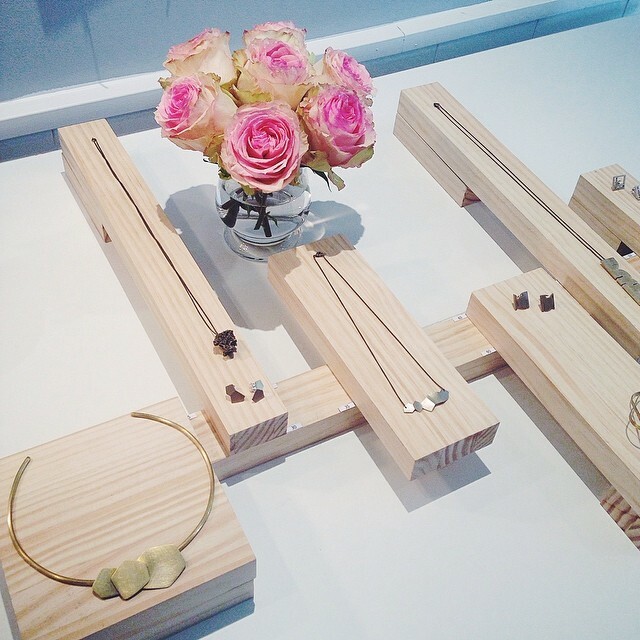 They usually have geometric shapes, so they are great to showcase with geometric jewelry. 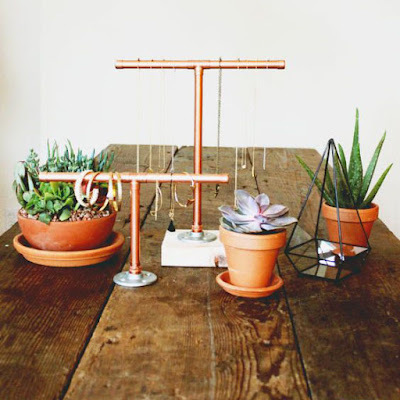 Place some pots beside your jewelry displays, or you can place the pieces directly on the succulents. 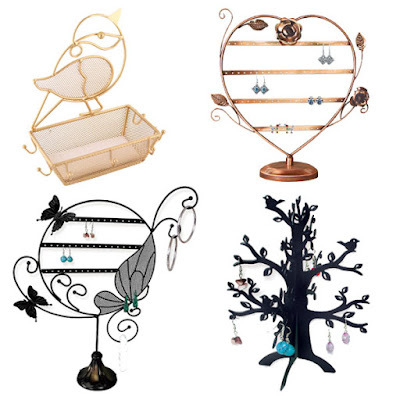 Of course, you can always opt for ready-made jewelry displays and jewelry organizers with a spring theme. They come in many different sizes and designs and can accommodate a lot of jewelry pieces. Choose ones with birds and butterflies, or those with flowers and leaves. There are also jewelry displays that look like metal trees. They are great for displays that are going for a minimalist theme. 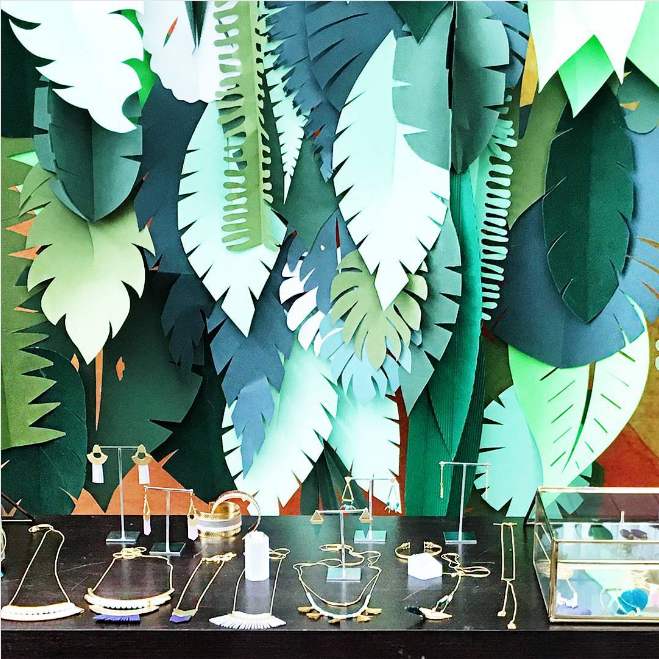 See more spring-inspired jewelry displays and jewelry organizers at the shop!